I Got Pulled Over by a Police Officer in Dutchess County, NY. Now What? I don’t think I did anything wrong! Why can’t I ignore the ticket? Who has to pay the NY Driver Assessment? Do Points Ever Fall Off a License? Is it possible to reduce my driver’s license points? Why is Jonathan D. Katz the right traffic ticket lawyer for me? I don’t have time to go to court. I’m going to just pay the ticket. Do I have to appear in a Dutchess County court to face my charges in person? When a law enforcement officer suspects you of committing a traffic violation, he or she has every right to pull you to the side of the road and check your credentials. Be cooperative and polite. They aren’t “out to get you,” they are just doing their jobs. Don’t get out of the car unless they tell you to do so and keep your hands in view at all times. Don’t cop an attitude or be belligerent. You can try to talk yourself out of the ticket during the traffic stop. However, if you do receive a ticket, call skilled traffic ticket lawyer Jonathan Katz so you can have your day in court. If you have received a moving traffic violation from a police officer in Dutchess County NY, you have a decision to make. Do you pay the ticket and plead guilty or do you fight the ticket with the assistance of a qualified lawyer who can negotiate with the prosecutor on your behalf. Ignoring the ticket is really not a viable solution. If you ignore the ticket – toss it in the glove box or the trash can – it will come back to haunt you. The Dutchess County traffic judge will issue a warrant for your arrest. You will then have to face failure to appear charges as well as your original traffic violation. By ignoring the ticket, you are both breaking the law and making a bad situation worse. Prosecutors and judges will most surely be less likely to negotiate with you under these circumstances. If you accumulate 11 points on your driver’s license in any 18-month period of tie, you face having your driving privileges suspended by a Dutchess County traffic court judge. However, when you reach the six point level, judges have the ability to levy a NY Driver Assessment fee along with any other fines, costs and surcharges. After 18 months, points will drop off of your license automatically. However, it’s a much better idea to negotiate all moving violations down to non-moving violations so you can avoid the points in the first place. Jonathan Katz can negotiate with Dutchess County prosecutors to get your ticket downgraded to a non-moving violation in many cases. By enrolling in and successfully completing New York’s Point & Insurance Reduction Program, you can eliminate four points from your driving record. However, it’s important to note that once you reach 11 points in an 18-month period of time, your license may be suspended by a Dutchess County traffic judge. You are not permitted to use the point reduction program to stave off license suspension. You need to hire a traffic ticket attorney who knows New York traffic laws and the court where your appearance will take place. You want an experienced lawyer, someone who has successfully helped countless clients retain their driving privileges and has negotiated with prosecutors to get tickets downgraded or dismissed. 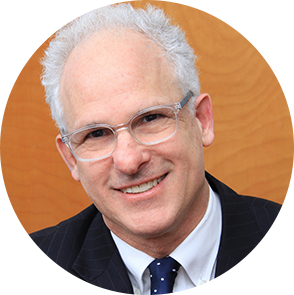 Jonathan Katz has been defending traffic charges for clients in the Mid-Hudson Valley for more than 36 years. He offers consultations and will explain your rights and his strategy for defending you. Don’t forget to bring your ticket and your driving record to your initial consultation. Stop! Once you pay the fines associate with your charges you have effectively entered a guilty plea. That means you have to pay all the fines and surcharges, you get the points, your insurance premium will likely increase and, depending on the situation, you may face a loss of driving privileges. If you received your ticket while driving through Dutchess County and don’t want to come back here to fight your charges in person, or you live here but can’t take time off of work to appear in court, Mr. Katz will be able to stand in for you in most cases. So, before you do anything else, contact Mr. Katz for a private consultation. Not necessarily. In fact, most of the time, Jonathan D. Katz, Esq. can represent you in court. If you are from out of state or are unable to take time off work to appear in court yourself, Mr. Katz is usually permitted to stand in for his clients and represent their interests in court. When you contact Mr. Katz for your consultation, you will learn your rights and find out what he thinks is the best way to proceed with your case. Protecting your driving privileges is his top priority. He will negotiate your ticket in an effort to get the charges downgraded to a no-point violation and, when possible, he will present evidence that convinces the prosecutor to drop the charges. Mr. Katz has helped countless client successfully fight traffic charges in Dutchess County, NY including: speeding, DWI, distracted driving, failure to yield, failure to stop at a red light or stop sign, reckless or careless driving and more. He will also assist with CDL violations. Put his 36 years of experience to work for you. Contact Mr. Katz today to schedule a consultation about your ticket.